Last week I visited Mill Gate in Bury to spend a few hours with Centre Manager, Marie Gribben. The visit came about after Marie read my spotlight blog on neighboring shopping Centre, Charter Walk, and wanted one too! and it turns out that there's a strong connection between the centres, and I'm not talking about the M66 corridor, Marie spent many years at Charter Walk and actually met her husband there who was the Centre manager at the time, in 2003. She is warm, enthusiastic, professional and oozing with news from her Centre. As with most Centre managers these days, Marie takes an active role in promoting the Centre and is the person behind the social updates. And why not? The various free platforms help to attract footfall and with 450,000 sq ft of covered space including 150 shop units, Marie and her team work hard all year round to enhance the whole shopping and leisure experience for their 13 million visitors a year. In addition, it has one of the main car parks for the town and is anchored by the world famous Bury Market, one of the most visited markets in the UK. The bus station and tram station are also adjacent to the scheme, along with the main Council offices and student Colleges of Bury. Marie was telling me that people travel from far and wide on mystery bus tours to visit the market and subsequently, the shopping centre. So there really is an element of never knowing who is going to drop in on them, and where they're from! The area has seen a particular rise in visitors recently as 2018 marks the 100 year anniversary since the end of the First World War and The Fusilier Museum, Bury, which is a 2 minute walk away from the Centre is hosting a a special exhibition to commemorate this milestone. The exhibition entitled - 18 for 18 tells the extraordinary stories of the eighteen Lancashire Fusiliers who were awarded the Victoria Cross during the First World War. It is the first time ever that 17 of the 18 VC’s have been on display in one place. Sadly the 18th medal which belonged to Bertram Best Dunkley is still missing despite an international search to try and locate it earlier in the year. It is believed to still be in the UK, probably in private ownership following a private sale through Spinks Auction House, London in 1986 but its exact location hasn't’t been confirmed. 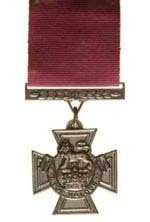 The Victoria Cross is the highest military decoration for valour and soldiers from the Lancashire Fusiliers have been awarded a total of 19, 18 earned during the First World War. No other British regiment has won more Victoria Crosses in a single war than the Lancashire Fusiliers. The exhibition which has been funded by the Heritage Lottery Fund is now open to the general public from Saturday 6th October – 13th December 2018. During October the museum will also be open on Sundays to ensure everyone who would like to visit has the opportunity to do so. Find out more about how to get there and admission prices here. Despite the increase in visitors, the Centre looked immaculate. 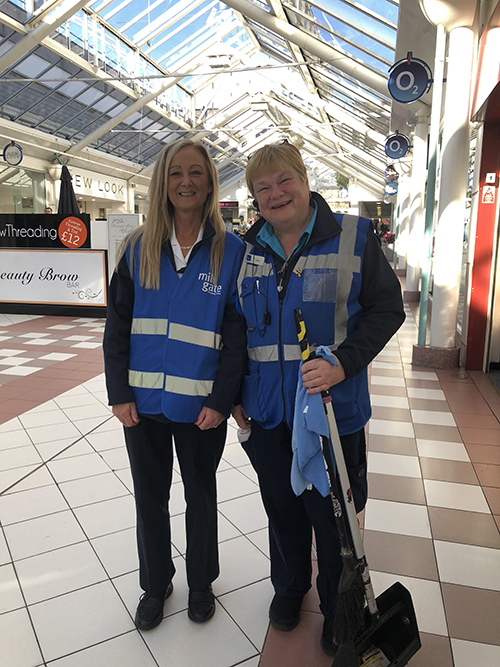 As with a lot of shopping centres built in the 90's - they are well into their Planned Preventative Maintenance (PPM) 10 year forecast and Marie talked to me in some detail about what they must do to keep the Centre running smoothly. And it turns out that a lot of PPM, effort and perseverance goes on behind the scenes, 365 days a year, to work around issues that accompany 25+ year old glass roofed shopping centres. Each morning the teams carry out pre-opening checklists electronically, the information transmitted includes confirmation that the centre is clean and ready for opening, if there were any incidents from the night before and any health and safety concerns etc. Once completed, the report is pinged through to Marie at home so that she is briefed about any issues before she even arrives at work in the morning. Marie said that Anchor introduced the new, easier way of reporting and that before we took over the contract, there was only one generic tick sheet which didn't capture information of any real use. Whilst I was there I asked Marie what sets us apart from other FM companies and what have we brought to the table over the last 3 years - without much of a pause she replied; "added value! - things like World Host training, Dementia Training and Autism Awareness. This is the kind of strand that folds into the contract - and becoming a WorldHost Recognised Destination is our goal". 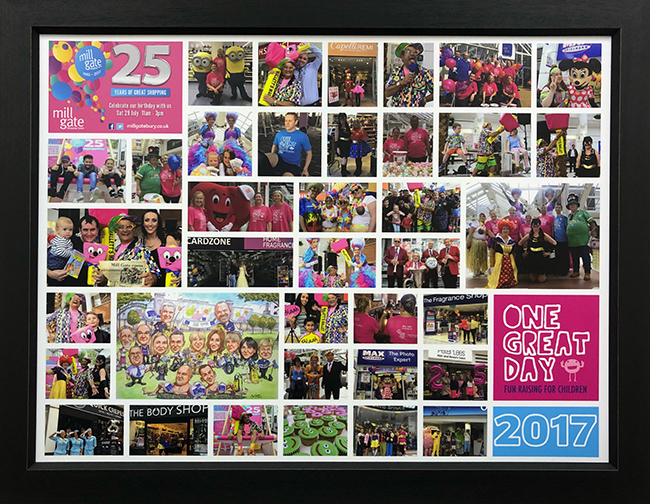 On the walls in the centre management office I couldn't help but notice the great big colourful photo montages of all the charity work that Marie and the centre supports each year. Among the charities were Bury Hospice and One Great Day. Marie said that one of the most uncomfortable situations she has found herself in (in her whole life) was when they had their photo taken on the mall, during opening hours, scantily clad, for the 'Calendar Girls' themed calendar back in 2016. And how she suffered with her feet after walking 25,000 steps for 5 days in a row for One Great Day last year! 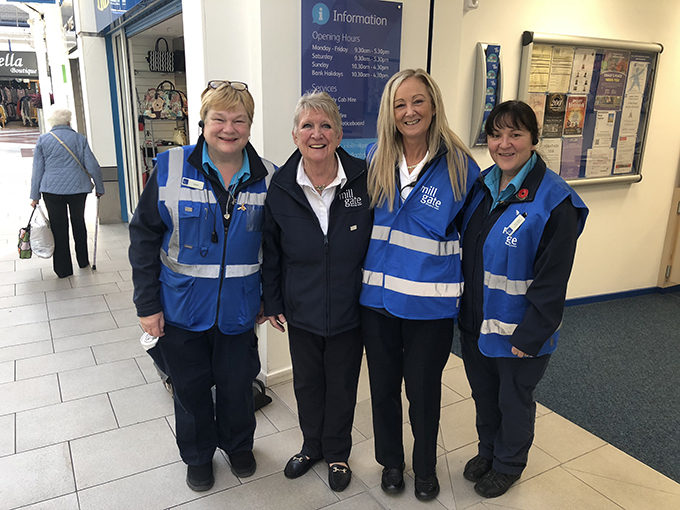 The centre is so much more than a shopping destination, it's a community made up of a great Centre management team, 9 Anchor Guards and 16 Anchor Cleaners. Marie and I talked about having a 'one team' mentality and seeing the benefits of this compared to a 'them and us' attitude. I explained that a lot of my role included laying the foundations of trust between the company and its employees. About employee engagement and how difficult it is to nurture inherited teams from TUPE'ing over and then the possibility of further churn if the company doesn't retain a contract. It was great to speak to someone with shared values on equality and nice to hear stories from previous Christmas parties where both senior management and employees have thoroughly enjoyed a Christmas night out together, and the importance of judging the right time to go home! I think we agreed that 11pm is the suggested time to leave, either that or before the jaeger bombs appear in their dozens! After my catch up with Marie, I headed down to the mall and caught up with a few of the staff on duty. I spotted Sandra first. I haven't seen Sandra since I visited in May for the One Great Day 'management cleanathon' and with only three weeks left of this pregnancy, it was pretty evident that something had changed! "What's happened!?" Sandra greeted me with open arms and her signature beaming smile. "I think we both know what's happened here Sandra" I replied, cheekily. I also had the pleasure of catching up with Sue, Sylvia, Mandy, Mary and John on the day, all of whom gave me a very warm welcome. Mandy (pictured avove, left) has recently been SIA licensed so that she can help if security are short, she also works on the Customer Service Desk. She had 4 full days of training in Manchester City Centre to attain her SIA license and said that the course has also really helped with her Customer Service role and how she feels more confident to deal with any high conflict situations more efficiently. I spoke to John at some length about his time at Mill Gate - he's spent the last 15 years there and has seen many changes to the centre, for the better. He's a huge Man Utd fan and as we talked about his life, his daughter, grandchilden and being taken along to sporting events - about three customers passing by went out of their way to say 'hi' to him. It's these kind of people that make our shopping centres worth returning to. Great to catch up with everyone at Mill Gate, as always.